It’s become a type of conventional wisdom that more cyclists on the road means more bicycle accidents. 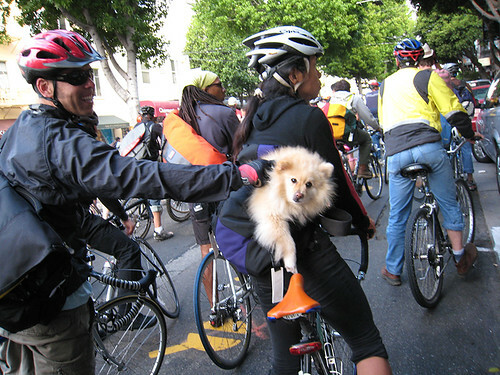 But over the past decade, some of the country’s most bike friendly cities have shown that safety in numbers means that the cities with the most cyclists on the road will also witness the fewest bicycle accidents. That is certainly the case in Davis California, which is considered a mecca for bicyclists where 16 percent of the population bikes to work, and boasts a fatality rate ninety percent below the California average. Even newer evidence suggests that in addition to safety in numbers, California cities benefit from structural policies that keep cyclists safe. This trend is not unique to cities in California. Other traditionally bike friendly cities like Cambridge, Massachusetts and Portland, Oregon have also seen a boost in bicycle ridership paired with a decrease in bike fatalities. This supports the notion that putting forward funds to improve street safety could save lives and trim the city’s budget by a bundle in the long run.